Are you planning to have a civil wedding ceremony in Melbourne? If you choose to marry in a civil service – at the City Hall, or in a chapel in Melbourne, or simply with a judge or other public official as their officiant – is likely to use a very simple, basic vote. If you are a little in advance, however, their officiant probably lets you write your own vows or recite the words of his own choosing. 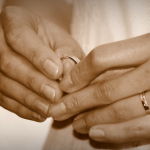 Ro Bailey has experience with civil wedding ceremonies in Melbourne. Ro Bailey’s extensive experience in working with people from a wide range of cultures and backgrounds has given me the ability to be responsive, helpful and flexible. Over the years I’ve developed good listening skills. I think this is a prerequisite for creating, with you, the Civil wedding ceremony Melbourne you want. There are almost unlimited opportunities to choose for your wedding that we can explore together options. You may want to include family or friends, children or stepchildren and references to their cultural heritage. Read more about how Registry style Weddings in Melbourne are done and a Melbourne weddings celebrant.